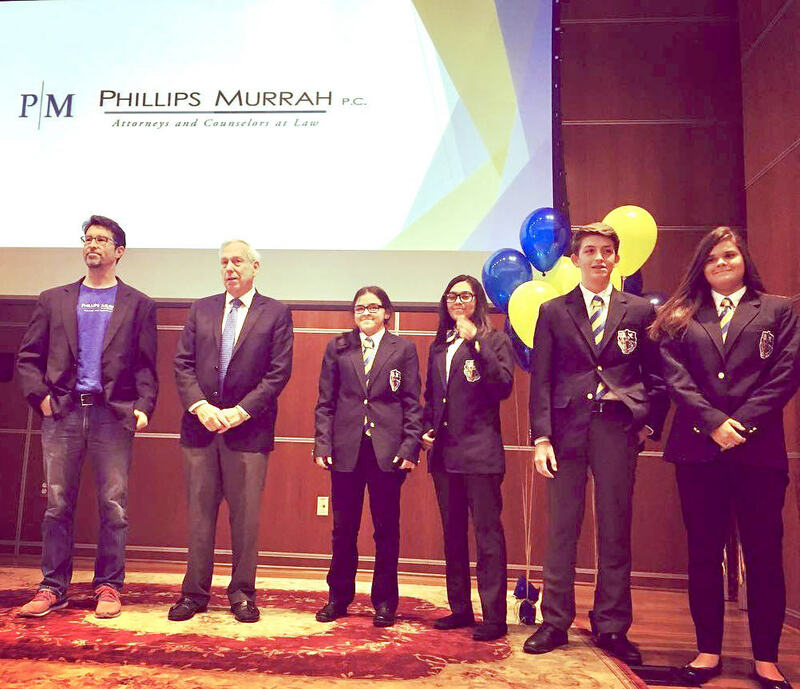 The Oklahoman - Phillips Murrah P.C. 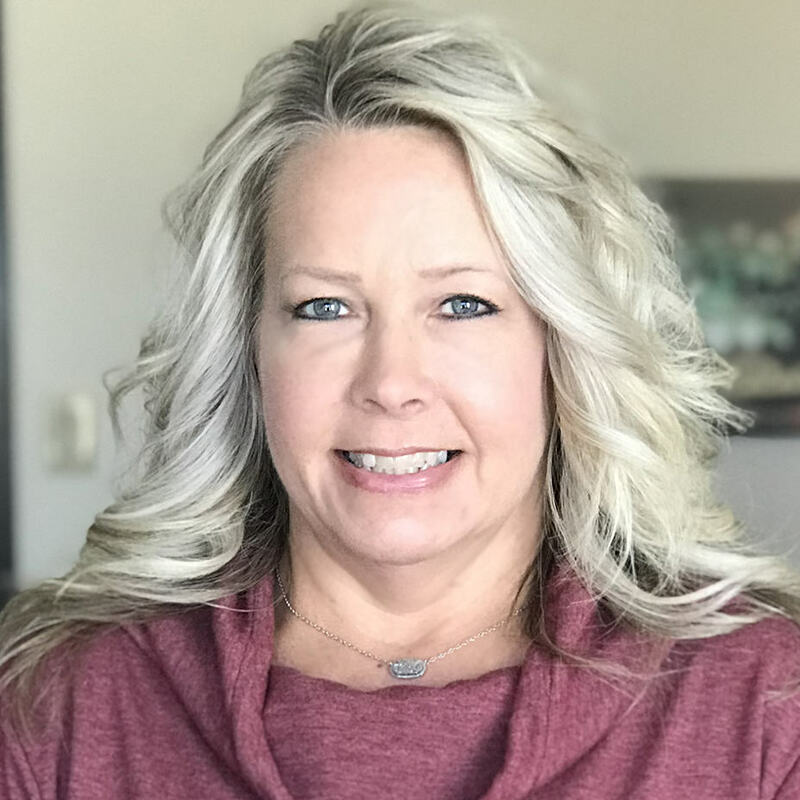 Lisa McAlister, Paralegal, is Phillips Murrah’s Employee of the Month for February 2019. The Firm recently began making a donation to the winner’s charity of choice, and Lisa chose Jesus House. “With such cold weather, this homeless shelter provides for more people who normally spend nights outdoors, to come inside to the warmth,” Lisa said. To learn more about Jesus House, click here. 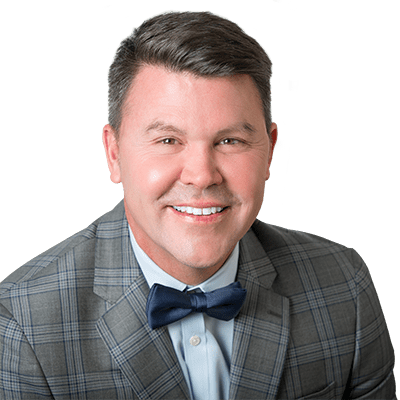 Travis E. Harrison is a transactional attorney who represents individuals and both privately-held and public companies in a wide range of transactional matters. 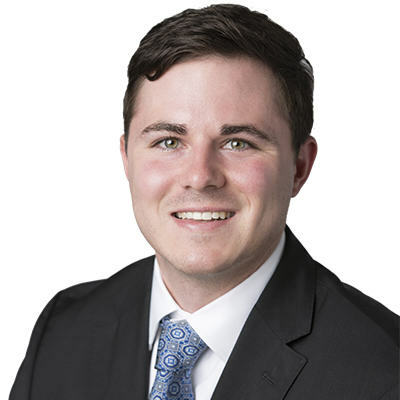 In this article, Oklahoma City Attorney Travis E. Harrison discusses practical legal issues related to out-of-state business practices. When is a corporation, limited liability company or other registered legal entity “transacting business” in another jurisdiction? A legal entity required to be registered under the laws of one state must be cognizant of whether its structure or business activities constitute “transacting business” in another state. For example, a corporation formed under the laws of Oklahoma might provide services or buy and sell real estate in Texas. If Texas law defines this activity as “transacting business,” then the corporation should take the required steps to qualify to do business in Texas — as the failure to do so may result in unforeseeable fines or other consequences. Each state establishes its own variations on what activities by a foreign (out-of-state) business constitute doing business in that state. As a practical matter, a business that has a strong presence or engages in successive transactions in another state is likely “transacting business” and will need to take the appropriate steps to qualify in that state. What are the consequences of failing to qualify to do business in another state? Similar to the issue of what activities constitute “transacting business” in another state, the ramifications for failing to qualify to do business are a creature of state statute and vary by jurisdiction. However, the most common legal consequences for failing to qualify are fines and the inability to utilize that state’s court system to bring a lawsuit. For example, assume the previously mentioned corporation formed under the laws of Oklahoma fails to qualify to do business in Texas even though it meets Texas’ criteria for “transacting business.” If the Oklahoma corporation files a breach of contract action in Texas, then its case may be dismissed because it failed to qualify to do business in Texas. This pitfall is especially problematic if the corporation is jurisdictionally restrained from bringing the lawsuit in Oklahoma because of other procedural issues. How does a business qualify to do business in a state other than its state of formation? As mentioned above, a business should be cognizant of whether its operations in other states require it to qualify to do business in those states. Generally, a business qualifies by filing a certificate with information about the business and its good standing and paying the respective filing fee with the state’s secretary of state (or other designated office). Additionally, a business should ensure that it complies with the other state’s applicable tax requirements for foreign businesses. In Oklahoma, for example, a foreign corporation’s failure to pay annual franchise taxes may subject it to unnecessary penalties. 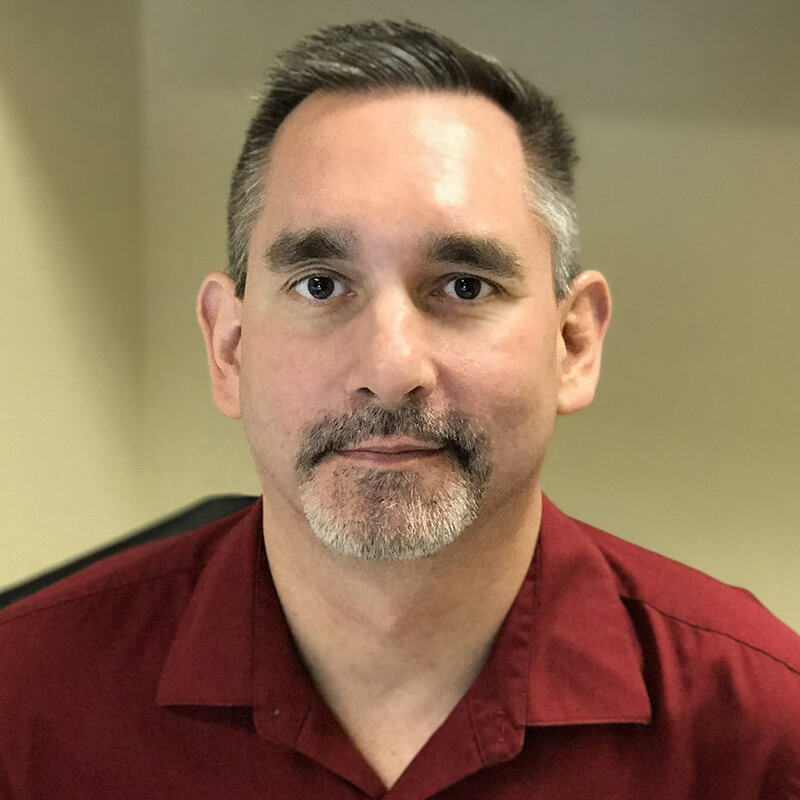 Curt Bauer, File Manager, is Phillips Murrah’s Employee of the Month for January 2019. 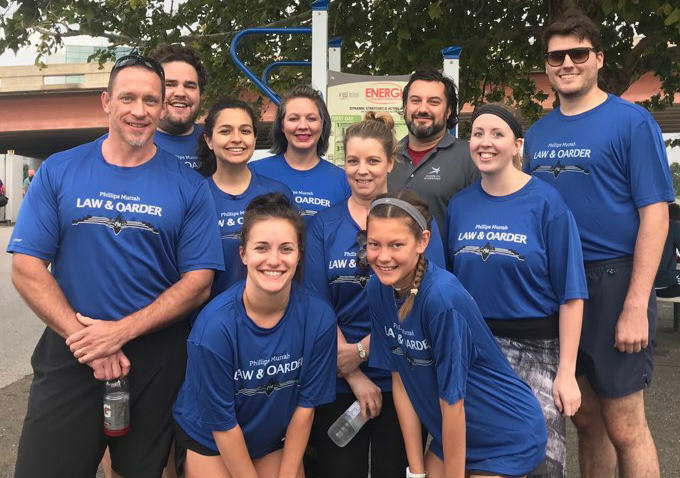 “It always feels great to be recognized by your peers as we all have the same ultimate goal: to serve our clients as well as we possibly can,” Curt said. “I love working here as we are making great strides toward becoming paperless, although we still have a ton of work to do. 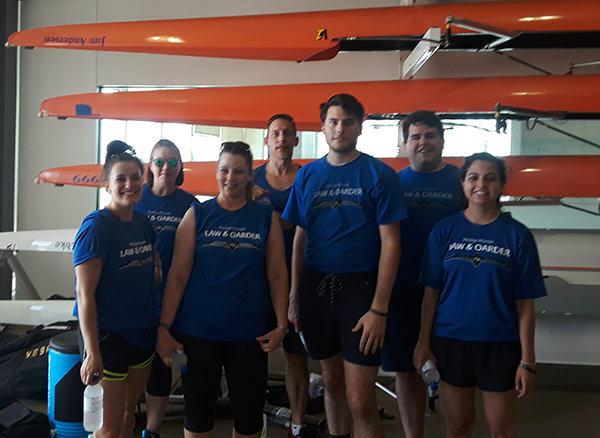 The Firm recently began making a donation to the winner’s charity of choice, and Curt chose the Epilepsy Foundation of Oklahoma. To learn more about the Epilepsy Foundation of Oklahoma, click here. 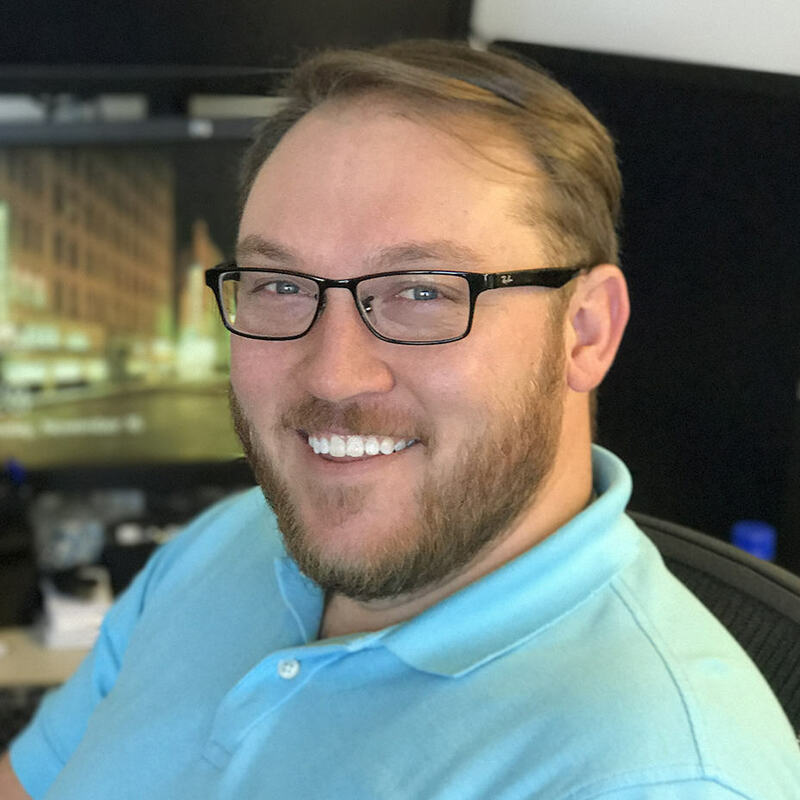 Cory Everett, Information Technology, is Phillips Murrah’s Employee of the Month for October 2018. “It is truly an honor being voted Employee of the Month,” Cory said. “We have so many great people that work here and do far more important work than what I do. “It has been a pleasure and honor to work with Cory,” said Sam Lincoln, Information Technology Director. “No matter the task, Cory always has a positive and professional attitude. The Firm recently began making a donation to the winner’s charity of choice. Hough Ear Institute is currently running a campaign to raise $300,000 to dedicate to the Institute’s research efforts and will match contributions. To learn more about Hough Ear Institute or make a personal contribution to their fundraising campaign, click here. Phillips Murrah staff members dress up for the Firm’s annual Halloween costume contest. 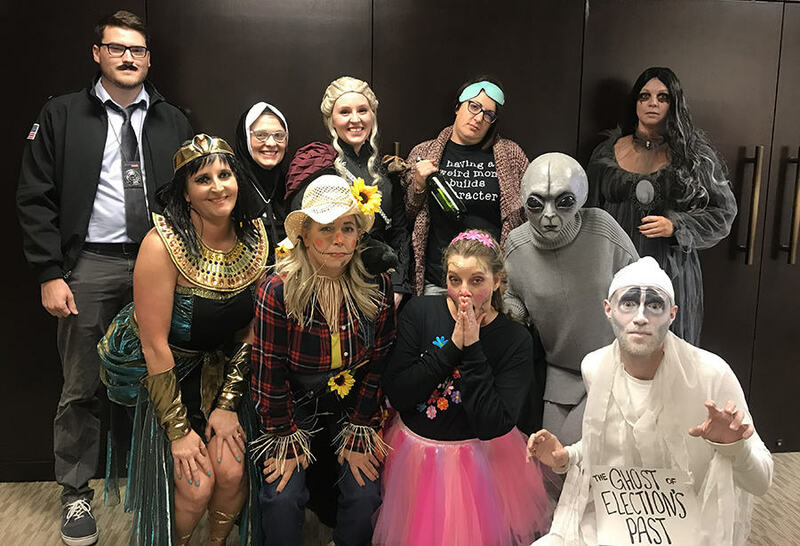 Phillips Murrah staff members were given the chance to test their creativity and help raise money for the Regional Food Bank of Oklahoma on Oct. 31 at the Firm’s annual Halloween Party. Contestants competed to win the annual costume contest, and Phillips Murrah raised $580 from those in attendance for Firm’s Annual Harvest Food Drive fundraising campaign. 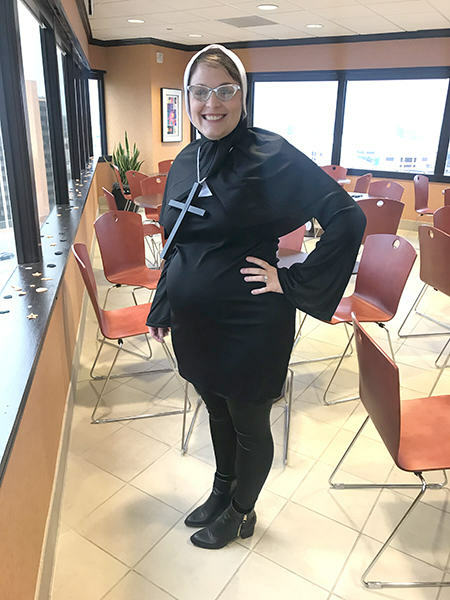 Rachel Schones, Receptionist, won First Place by a landslide with her pregnant nun look. Second Place was awarded to Cristal Bazemore, Administrative Assistant, dressed as an alien, and Third Place was won by Tess Bromme, who dressed as Daenerys Targaryen from Game of Thrones. “I enjoy dressing up every year,” Schones said. “It’s fun to see the creativity of the different costumes each year. Employees dress up to compete for a popular vote in hopes of winning a cash prize. Phillips Murrah partners with the Oklahoma County Bar Association to support their annual Harvest Food Drive, which all proceeds are donated to the Regional Food Bank of Oklahoma. If you would like to donate to the Young Lawyers Division’s Harvest Food Drive, please contact the Oklahoma County Bar Association at (405) 236-8421. Phillips Murrah law firm is proud to welcome Lauren Barghols Hanna to our downtown Oklahoma City office. The Firm welcomed Lauren to the Firm’s Labor and Employment Practice Group as an Of Counsel attorney. As a part of her employment practice, Lauren counsels and represents management in all phases of the employment relationship, including litigation matters involving discrimination, retaliation, harassment and wrongful discharge claims, whistleblower claims, claims related to employment agreements and theft of trade secrets, and other disputes arising from the workplace. 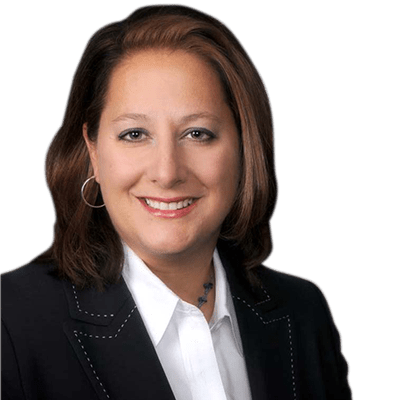 She also works with employers in crafting appropriate employment policies and procedures, employee handbooks, non-disclosure/non-solicitation agreements, and employee severance agreements and releases. 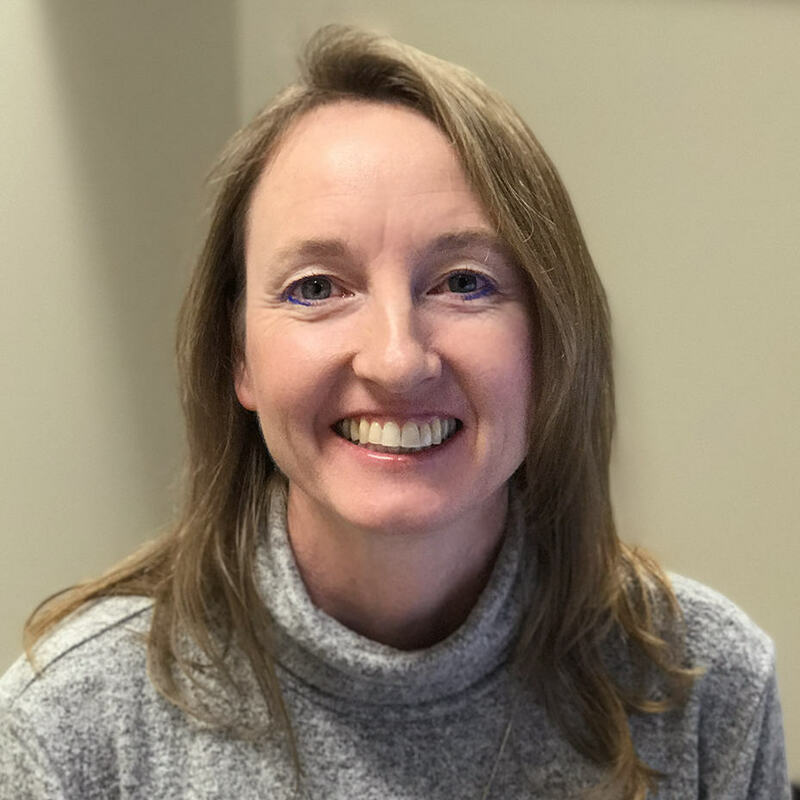 Lauren’s practice in the area of water rights frequently involves the representation of landowners in obtaining groundwater and streamwater permits for irrigation, oil and gas industry production, and other beneficial uses. 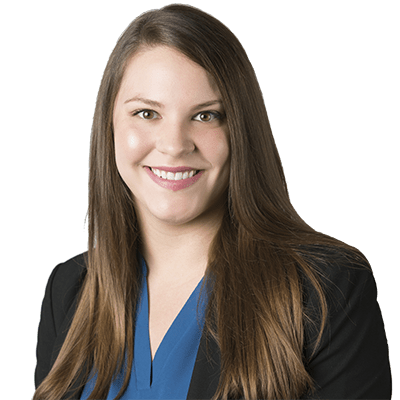 Lauren is a contributing author to the Oklahoma Employment Law Letter and has been interviewed by The Oklahoman, served as a guest legal columnist for The Journal Record business newspaper, and spoken at seminars on a variety of employment-related topics. She also authored the Oklahoma chapter of the LexisNexis Waters and Water Rights treatise. 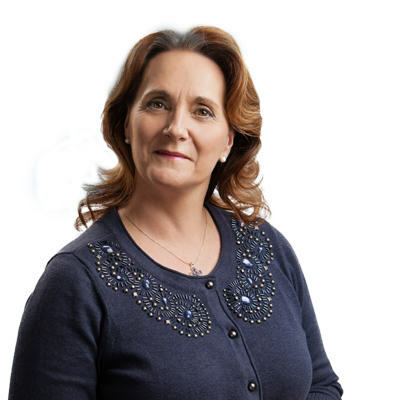 Lauren’s achievements have earned her inclusion in The Best Lawyers in America (employment law—management; labor and employment litigation) and Oklahoma Super Lawyers. 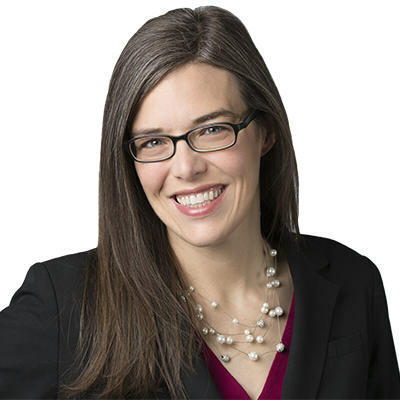 In addition to her legal practice at the firm, she serves as a volunteer attorney for Oklahoma Lawyers for Children, a nonprofit organization that uses the time, talent, and resources of pro bono lawyers to represent and assist children in various matters, including parental termination jury trials before the Oklahoma County District Court (Juvenile Division). In 2014, the Oklahoma CASA Association honored Lauren with its “Attorney of the Year” award for her work with OLFC. Lauren and her family also work with the Tinker Air Force Base Home Away From Home Program, welcoming Airmen serving their first tour into their family for holiday meals, birthday celebrations, summer cookouts, and other activities to create community and mentorship for young enlisted airmen. Born and raised in Oklahoma, Lauren lives in Edmond with her husband Adam and her two children. Her hobbies include rowing, camping, and OU sports. 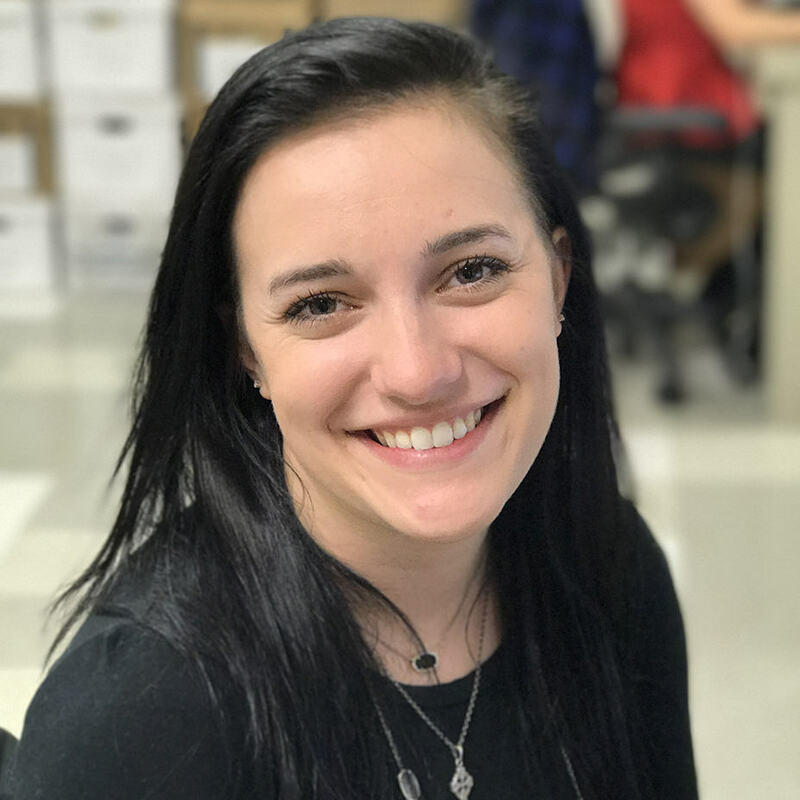 Tifany Manning, Legal Assistant, is Phillips Murrah’s Employee of the Month for September 2018. “It has been a pleasure and honor to work with Tifany,” Director Jennifer L. Miller said. “No matter the task, Tifany always has a positive and professional attitude. Her work ethic and dedication to excellence is immeasurable. Starting this month, the Firm will begin making a donation to the winner’s charity of choice. “I chose Cavett Kids Foundation as my charity,” Manning said. “Cavett Kids strives to help kids with severe and life threatening illnesses have some normalcy by attending camps, of which they have six different ones, and just be a kid doing kid things. Phillips Murrah attorneys volunteer each year with the foundation’s Camp Cavett send-off. To learn more about Cavett Kids Foundation and how you can get involved, visit their website here. 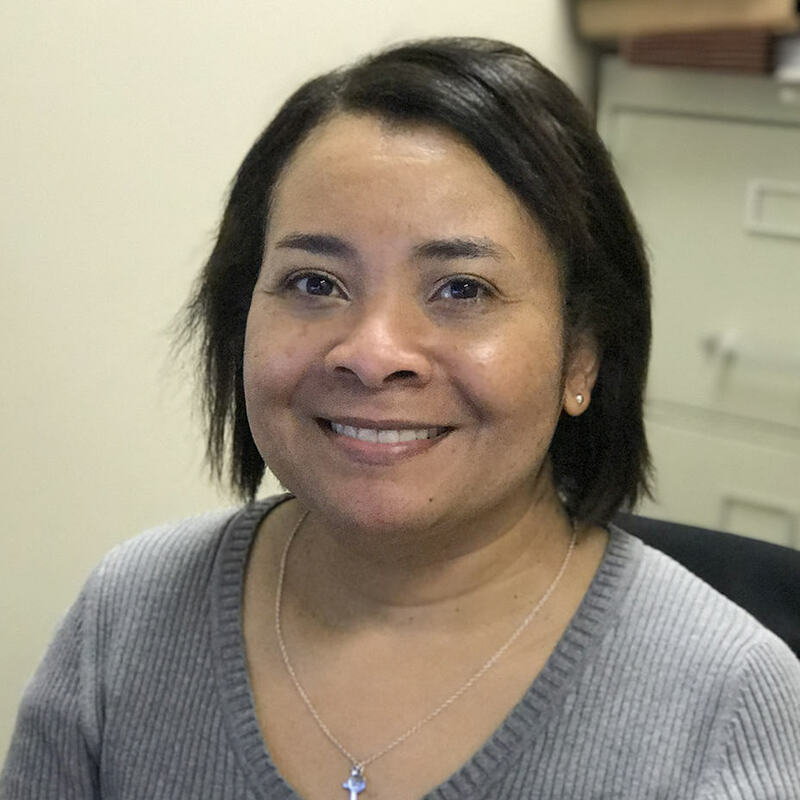 Nanette Morris, Paralegal, is Phillips Murrah’s Employee of the Month for July 2018. “I’ve worked for Phillips Murrah for almost 19 years, and I can’t think of anywhere else I’d want to work,” Morris said. “The work is challenging and fun, and – even better – I get to work with so many smart and talented people. 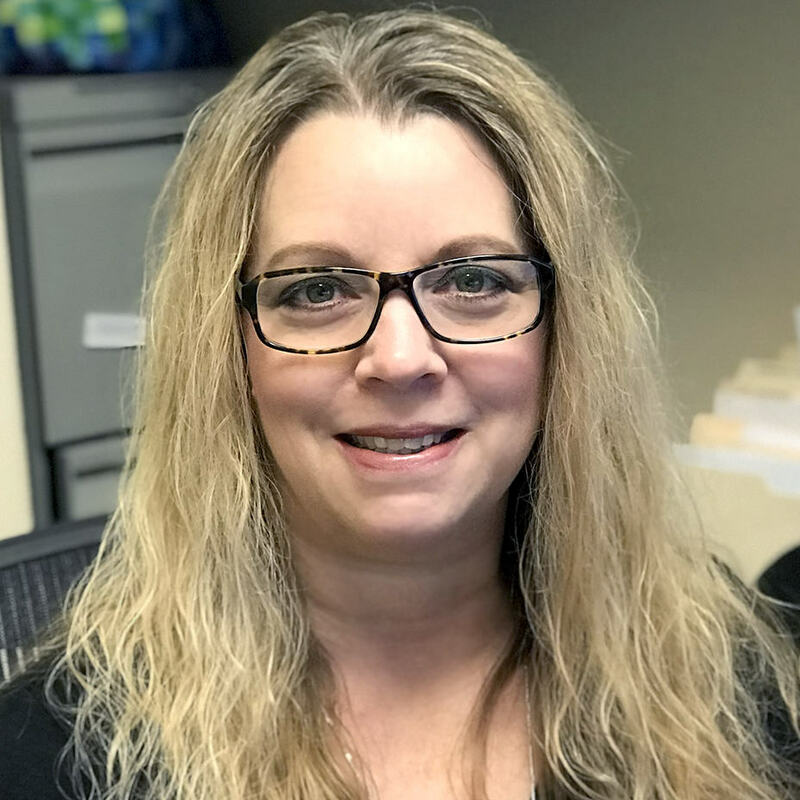 “Nanette has been with the firm for over eighteen years and is a highly skilled legal assistant,” Director Elizabeth K. Brown said. “She plays an integral role in our transactional and estate planning department. 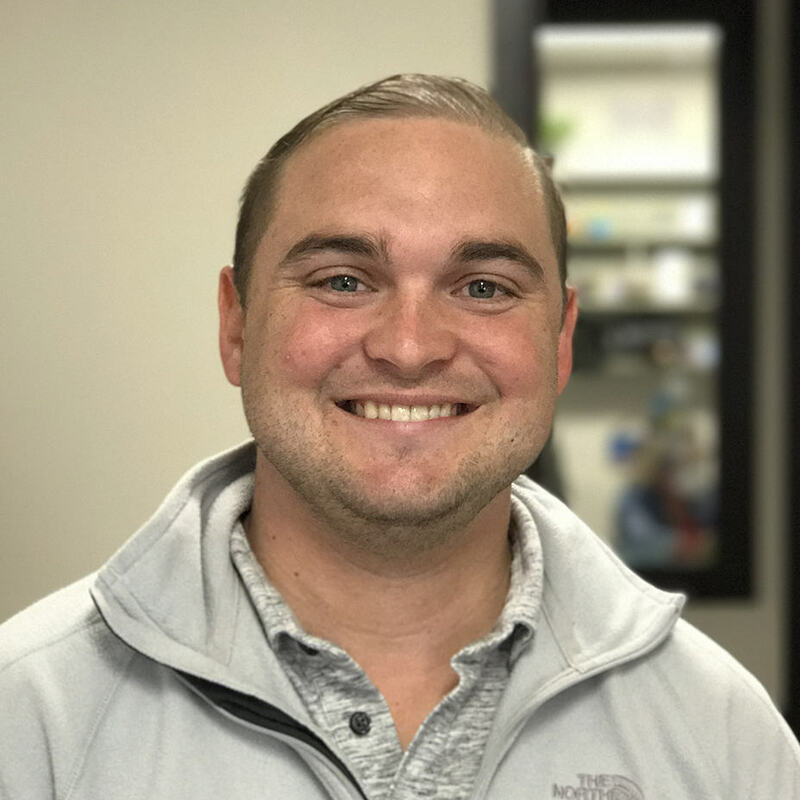 Tyler Sullivan, Administrative Assistant, is Phillips Murrah’s Employee of the Month for May 2018. 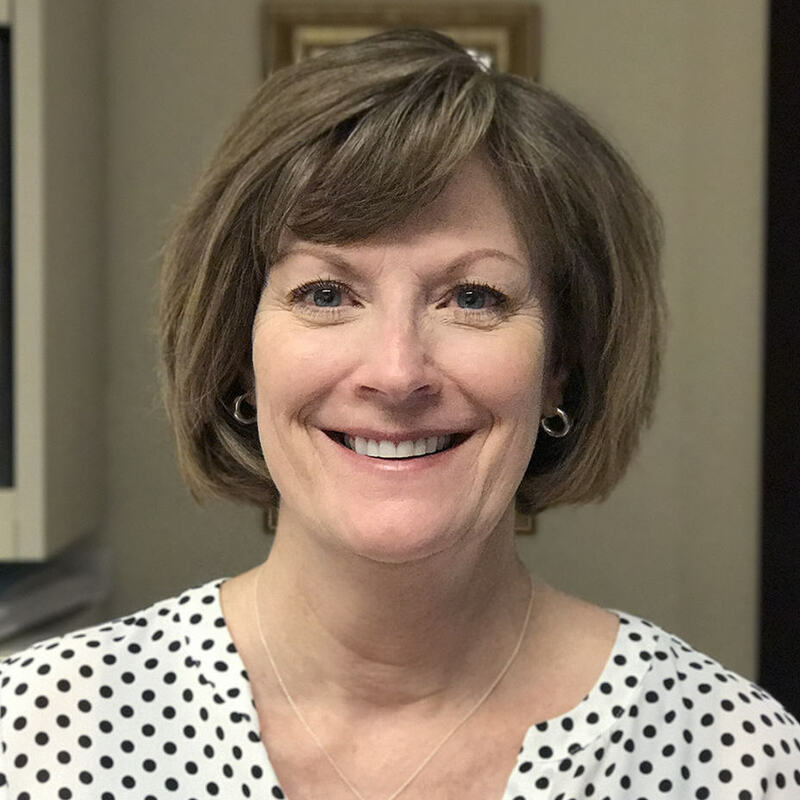 “I have the privilege of working with an incredible group of people, and I feel so honored that they chose to recognize me as Employee of the Month,” Sullivan said. 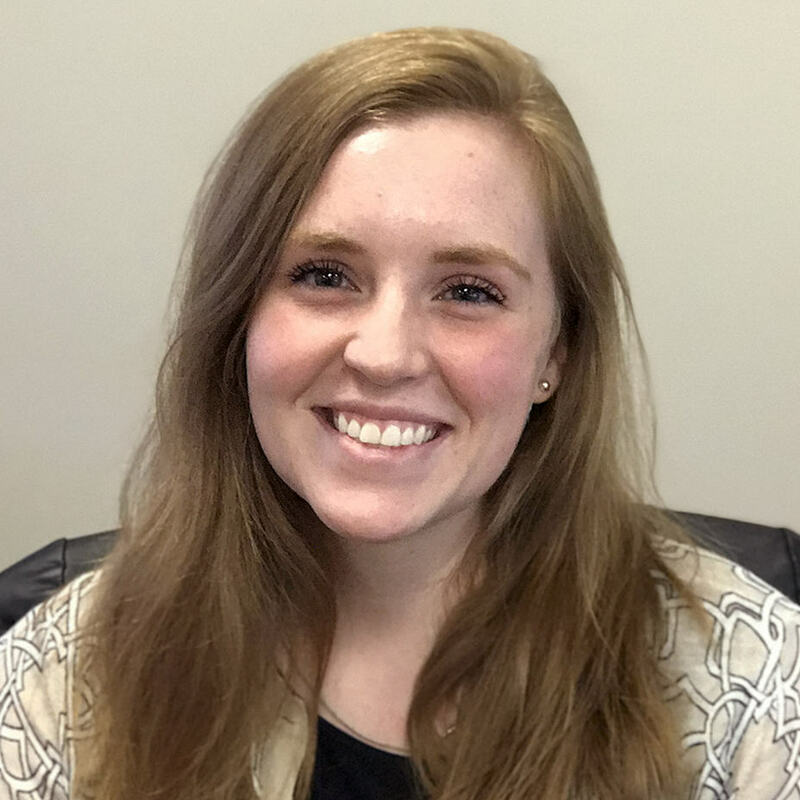 “Tyler started with our Firm in an entry level position, and has proven that she is capable of much more,” Executive Director Michelle Munda said. 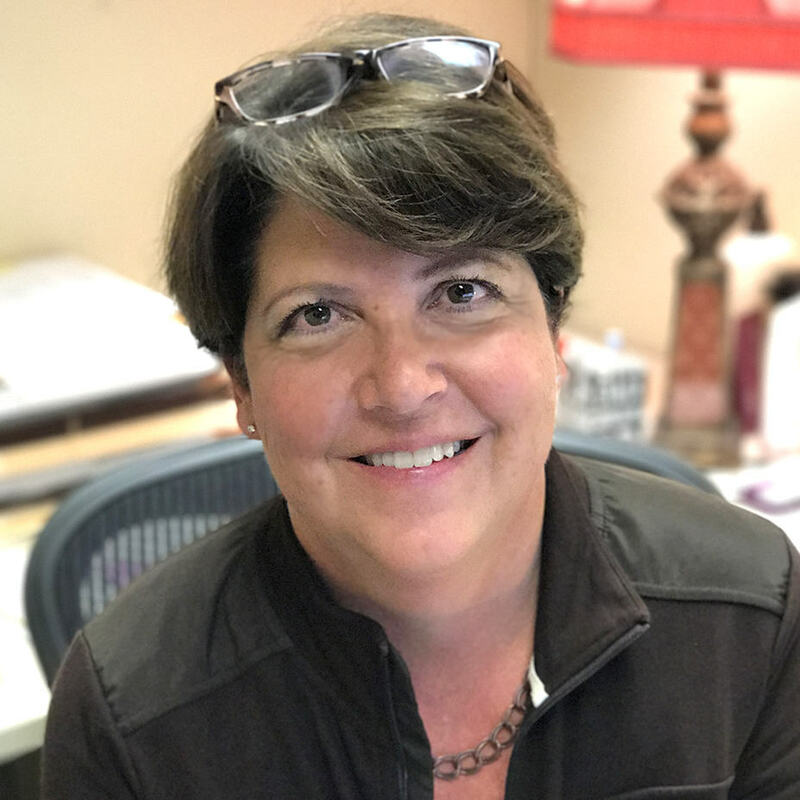 “She was recently promoted, and she continues to grow at our Firm. 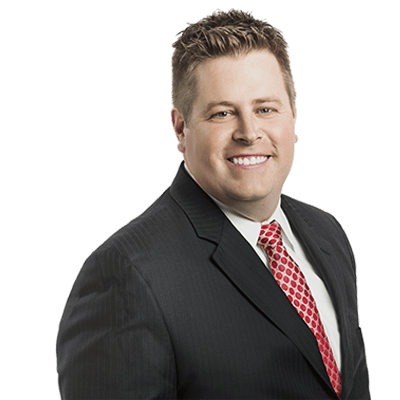 In this article, Attorney Zachary K. Bradt discusses protections land owners have in regards to surface rights in oil and gas exploration. Q: Why should surface owners be concerned about the development of oil and gas? A: In Oklahoma, courts have ruled that the mineral estate is superior to the surface estate for purposes of oil and gas development. Oil and gas operators have the right to enter upon your property and make reasonable use of the surface to explore for oil and gas. Q: As a surface owner in Oklahoma, what laws are in place to protect my interests? A: In an effort to better protect the rights of surface owners throughout the state, the Oklahoma Legislature passed the Surface Damage Act that went into effect on July 1, 1982. Prior to July 1, 1982, operators had the right to enter upon a surface owner’s property and make reasonable use of it to conduct their operations without paying any damages. With the passage of the Surface Damage Act, surface owners were afforded more protections and operators were required to follow procedural steps as defined under the act before entering upon the property. Q: What procedural requirements does an operator have to meet? A: Operators are first required to send a letter by certified mail providing notice of their intent to drill and informing the surface owner of the proposed location of the well and the approximate date drilling will commence. Within five days of delivery, the operator must engage in good-faith negotiations with the surface owner. If the parties agree upon damages, a written contract is executed, damages are paid, and drilling operations can commence. Q: What if the surface owner and operator don’t reach an agreement? A: If the good-faith negotiations don’t result in an executed damages contract, the operator must petition the court for the appointment of appraisers. Then, an operator may enter the property and commence its operations. Although drilling may be commenced, the determination of surface damages will remain before the court. The three appraisers (one from each party, who then choose a third) will inspect the property and submit a report to the court estimating the surface damages. Once the report is submitted, you can accept the suggested amount or challenge in court. Before you demand court consideration, you should make yourself aware of the related costs. 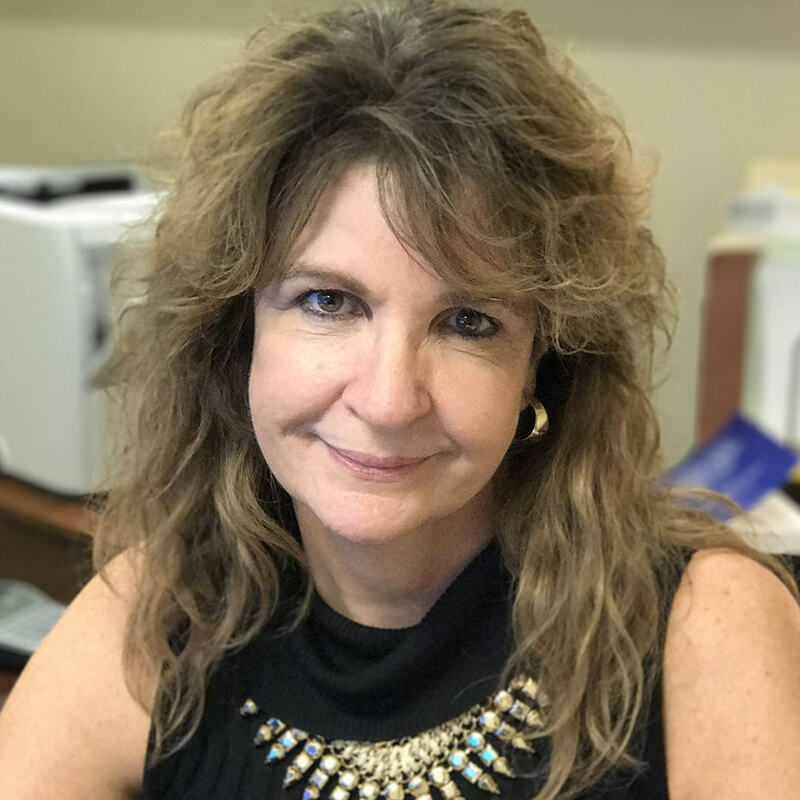 Penny Stansberry, Paralegal, is Phillips Murrah’s Employee of the Month for April 2018. Jack Thach, Office Clerk, is Phillips Murrah’s Employee of the Month for February 2018. “I’m blessed to be able to work with such a great group of people, and it is a real honor to win this award,” Thach said. “Jack is dependable and always willing to pitch in or help with things outside his primary duty assignments,” David Carter, Lead Office Clerk, said. Nathan Hatcher, Assistant Marketing Director, and Lisa McAlister, Paralegal, are Phillips Murrah’s Employees of the Month for January 2018. 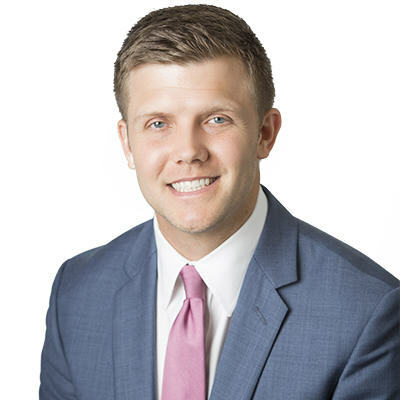 “More than being proud of working for an extraordinary law firm, I am proud of working with extraordinary peers that have presented me with this honor and recognition,” McAlister said. In rare cases, the votes tallied end in a tie, and both winners receive the Employee of the Month honor. 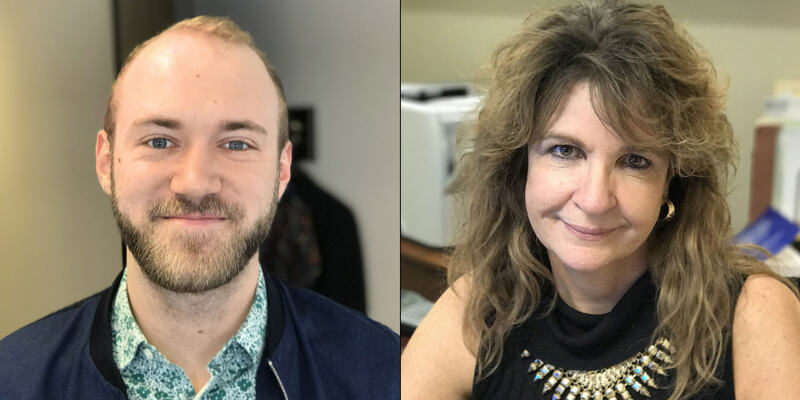 “Nathan has worked with me for a few years, and I am continually impressed by how smart and diligent he is,” Executive Director Michelle Munda said. “His demeanor and personality are a complete delight every day. Cristal Bazemore, Administrative Assistant, is Phillips Murrah’s Employee of the Month for December 2017. “It is an honor to win Employee of the Month,” she said. “I am grateful to be a part of such a great team and workplace! “Cristal is a great worker with what seems to be boundless energy, and never lets anything get her down,” Director J. Mark Lovelace said. 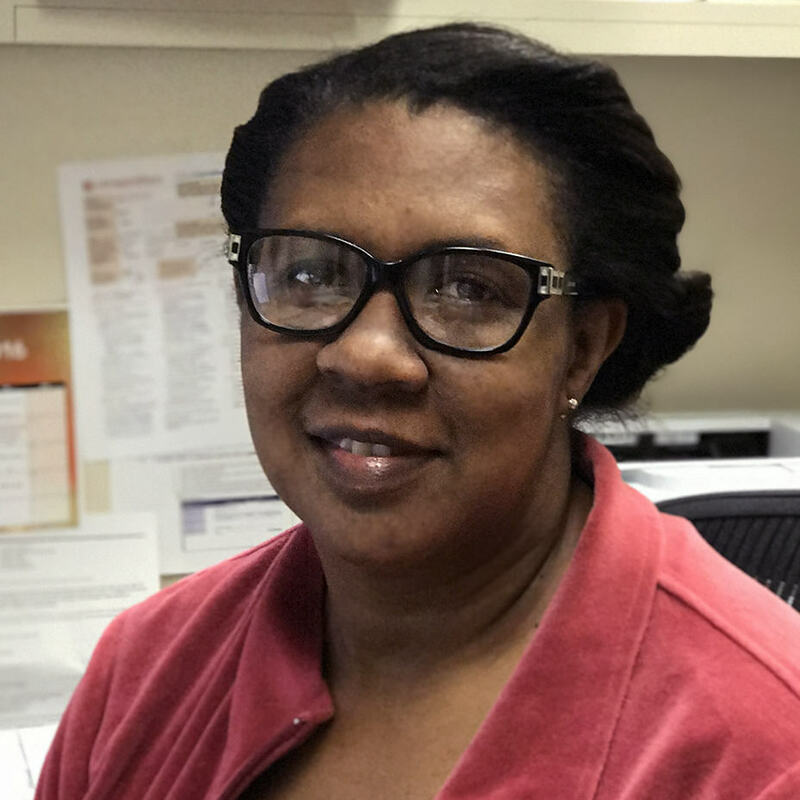 Tommye Johnson, Legal Nurse Consultant, is Phillips Murrah’s Employee of the Month for November 2017. “I am truly humbled to receive the Employee of the Month recognition from my peers,” she said. “Exhibiting the qualities which earn this recognition requires being surrounded by great co-workers who bring out the best in you. “Tommye is a consummate professional whose strong work ethic, expertise and wide breadth of experience have solidified her as an essential team member to the litigation group at Phillips Murrah,” Director Juston R. Givens said. 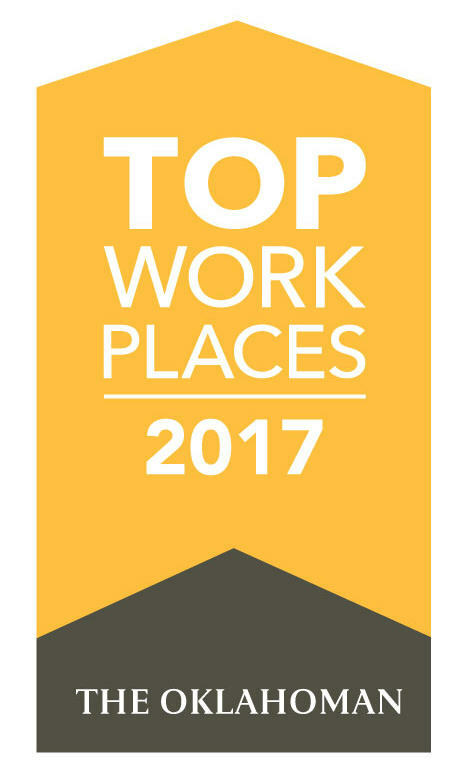 Phillips Murrah has been recognized as one of the Best Places to Work in Oklahoma in 2017 by The Journal Record and an Oklahoma Top Work Place by The Oklahoman/Energage two years in a row. Our Firm strives to recognize and reward our employees for excellence. A: The London Interbank Offered Rate (LIBOR) is the daily calculation of an average of estimated interest rates that a panel of around 20 banks calculate they’d be charged to borrow from other banks. LIBOR serves as the primary reference interest rate that’s overwhelmingly used by lenders to set their own interest rates including mortgage and student loan lenders, as well as credit card companies. It’s been used since 1986 for this purpose. LIBOR hasn’t been without its scandals, and in 2012, media outlets began to allege that LIBOR was being manipulated by the very banks that set the rate, leading to fines levied against financial institutions and prison sentences for individuals involved in the rate manipulation as well as regulatory backlash. The Financial Conduct Authority is the regulatory agency for LIBOR, and on July 27, in an apparent effort to replace rather than reform LIBOR, Chief Executive Andrew Bailey announced the recommendation that LIBOR be phased out at the end of 2021 due to a lack of confidence in the calculation as well as unwillingness among banks to use it. Q: What’s the future of LIBOR and how could it affect consumers? A: LIBOR has been used pervasively as a benchmark rate for loans for over 30 years. Most consumers have at least one agreement in effect that references LIBOR, whether it be a mortgage or business loan. Many of these contracts are long-term and won’t expire before 2021 when LIBOR will be phased out. Some of these loan contracts based upon LIBOR contain a fallback provision and reference an equivalent or alternative interest rate to be used in place of LIBOR, laying the foundation for those instruments to be governed by LIBOR’s eventual successor. However, lenders and borrowers should review existing loan documents, especially those continuing after 2021, to ascertain whether they’re LIBOR-based loans and then whether they reference an alternative rate in the event that LIBOR is no longer published. Those documents without fallback provisions or an alternative rate should be amended and updated so that they reference a substitute or new rate to avoid legal uncertainty once LIBOR is replaced. Q: What will replace LIBOR? A: LIBOR’s administrator will continue to produce LIBOR until 2021 and possibly after that time if banks continue to contribute to the benchmark rate, so there’s still time to figure out what will replace LIBOR, but there’s currently no go-to replacement. Lenders and borrowers should consider use of fallback provisions and flexible amendment provisions due to the unavailability of LIBOR in the future. Q: What is Oklahoma’s manufacturing sales tax exemption? A: Goods and equipment used in a manufacturing operation can be purchased exempt from sales and use tax by manufacturers. This type of sales tax exemption is designed to attract and promote business. It’s a proven tool that governments employ to make their communities more attractive. The rationale is simple: draw out-of-state investment and keep in-state investment rather than relinquishing that investment (and the associated jobs, taxes and infrastructure) to a competing location. Q: What is the relevance of the sales tax exemption to the energy industry? A: Under Oklahoma law, the term “manufacturing” includes the conversion of materials and natural resources into other materials that have a different form or use. This definition encompasses processes ranging from the manufacturing of oil field equipment to petroleum refining. Electric power generation is also considered manufacturing. As a result, power generators such as natural gas-fired power plants, coal-fired power plants and wind energy facilities are deemed manufacturers and are permitted to purchase equipment to be used in the power generation process exempt from sales and use tax. Ultimately, the exemption is designed to help qualifying energy companies stay afloat — especially during capital-intensive phases — and keep investing in Oklahoma. Q: This exemption has been a hot topic at the state Capitol during special legislative session. What are some of the issues at hand? A: Oklahoma is facing a historic budget shortfall, with risks of further cuts to state agencies becoming a very real possibility. Legislators are searching for dollars to help plug financial holes before the ship sinks, and many of our state’s tax incentives and exemptions may be on the chopping block. There has been discussion of removing wind energy companies from access to the manufacturing sales tax exemption. While wind developers have made it publicly clear they’re already invested in Oklahoma to the tune of billions and plan to stay for the long haul, it’s important to revisit the reason for such exemptions in the first place and consider that the opposite is also true: if certain companies or industries are punitively cut out of such exemptions while still paying millions in taxes, it may make Oklahoma a difficult place to do business, which will, in the long run, discourage investment and aggravate our state’s budget problems.